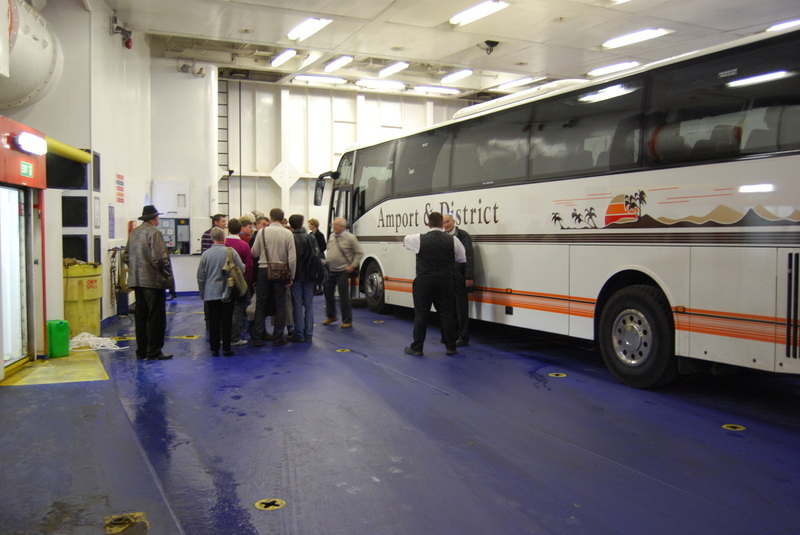 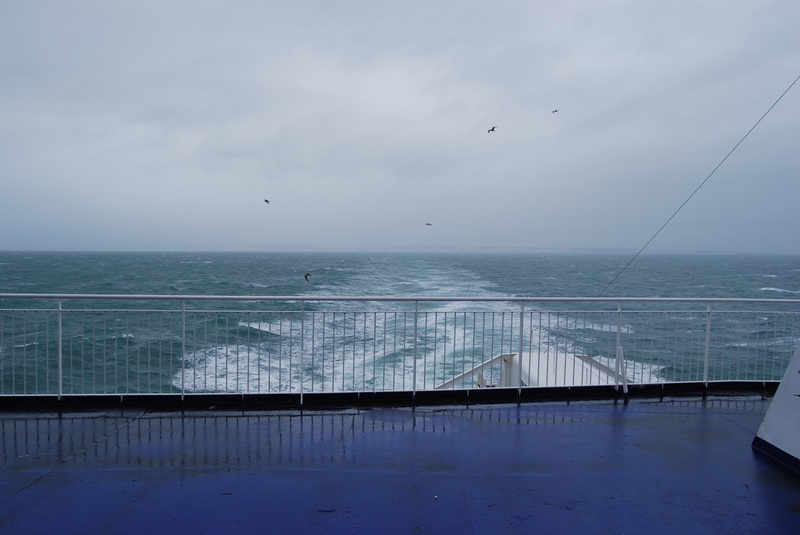 The Ferry set sail! 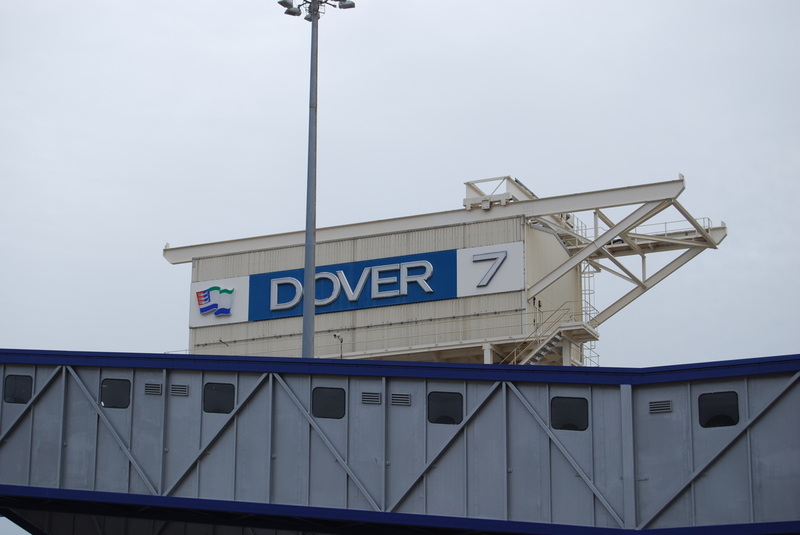 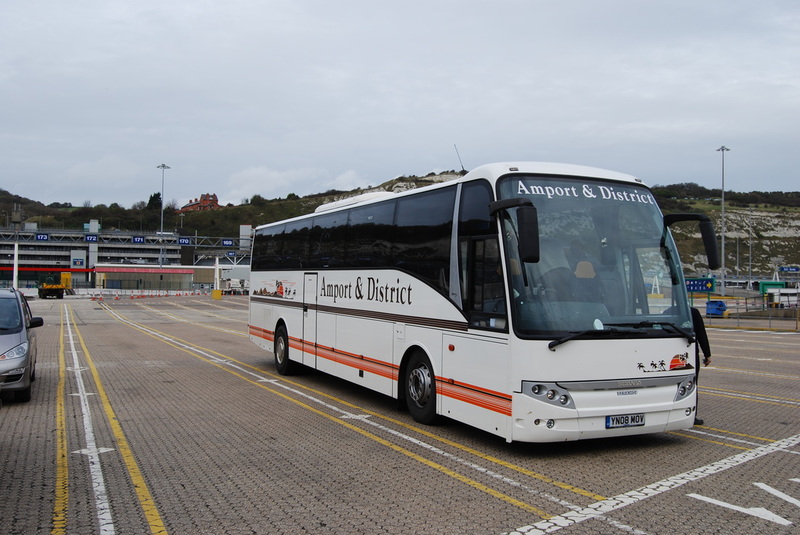 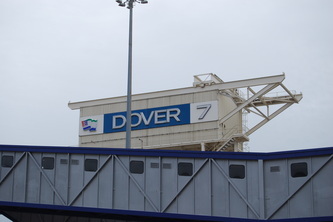 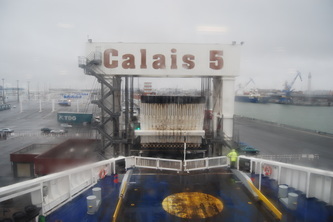 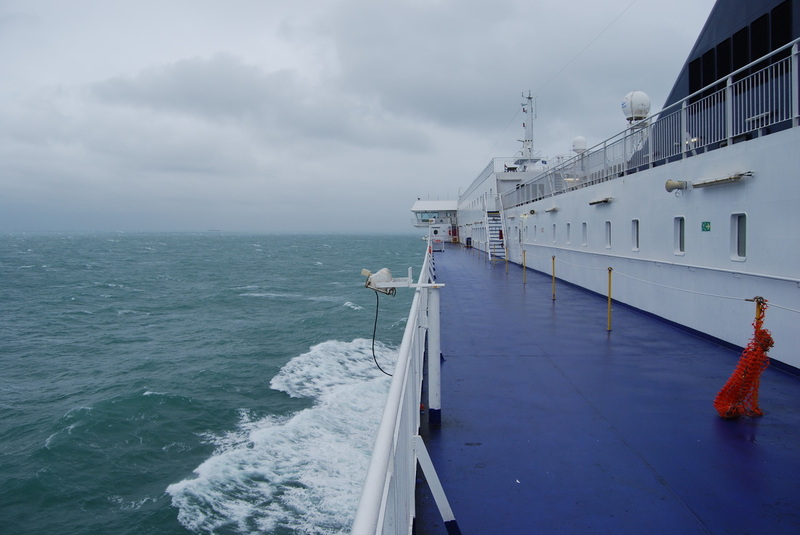 A good crossing was enjoyed with a few drinks in the bar, and then some fresh air on deck! 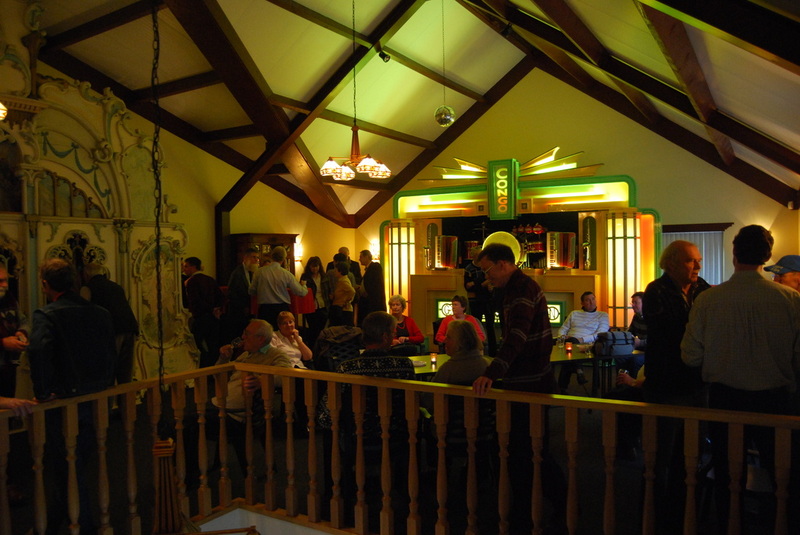 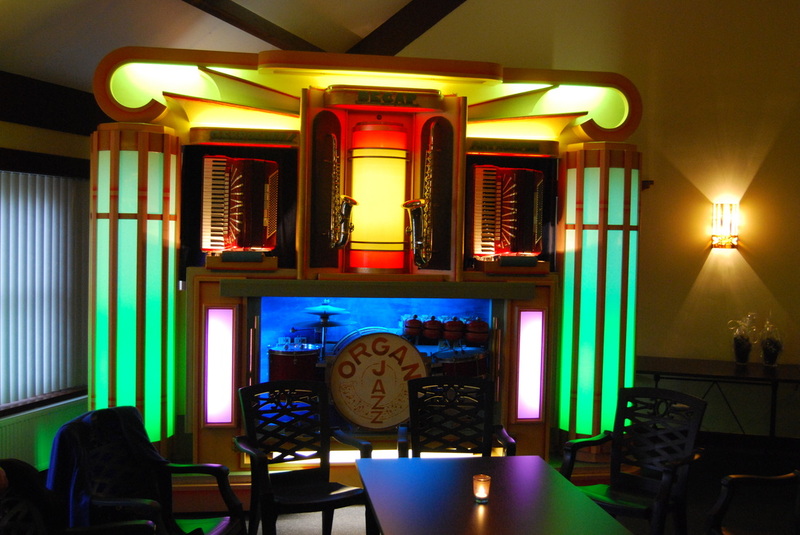 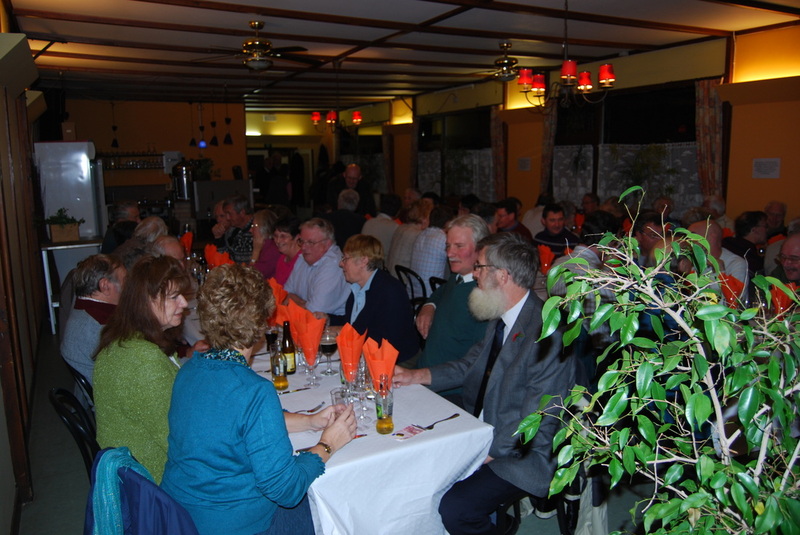 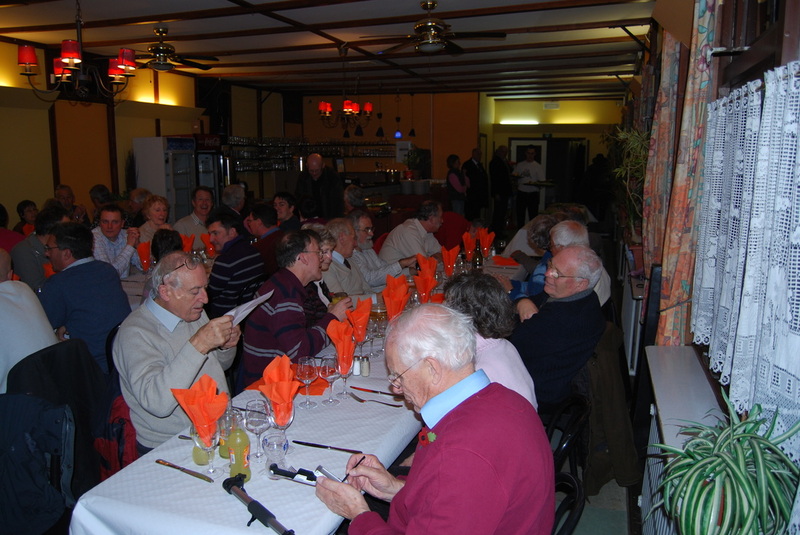 We arrived at the Tour Glace in Ronquieres where we enjoy our evening dinner to the music from the 92 key Dance Organ that is installed there. 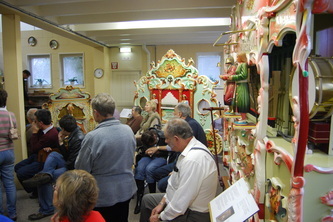 The Open Day of the De Voer family at Ulvenhout. 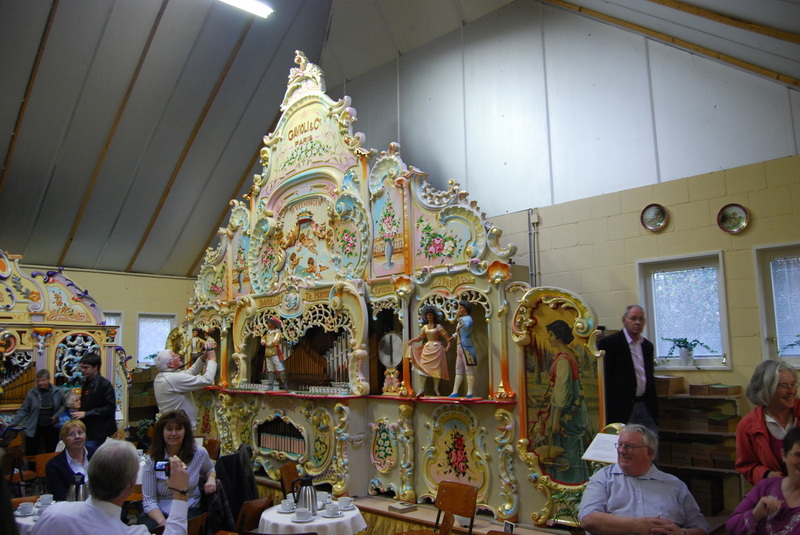 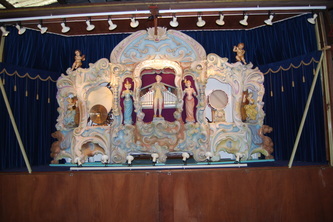 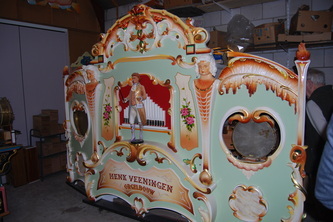 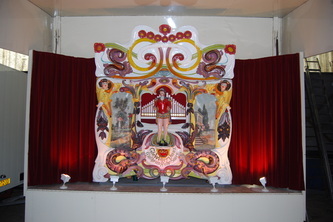 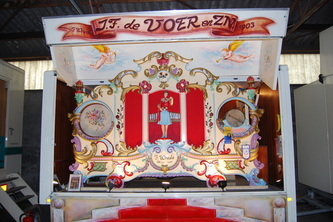 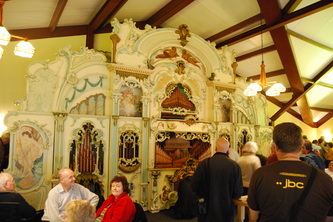 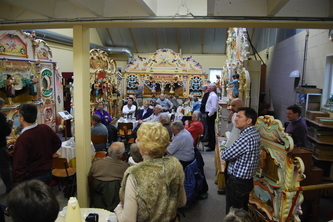 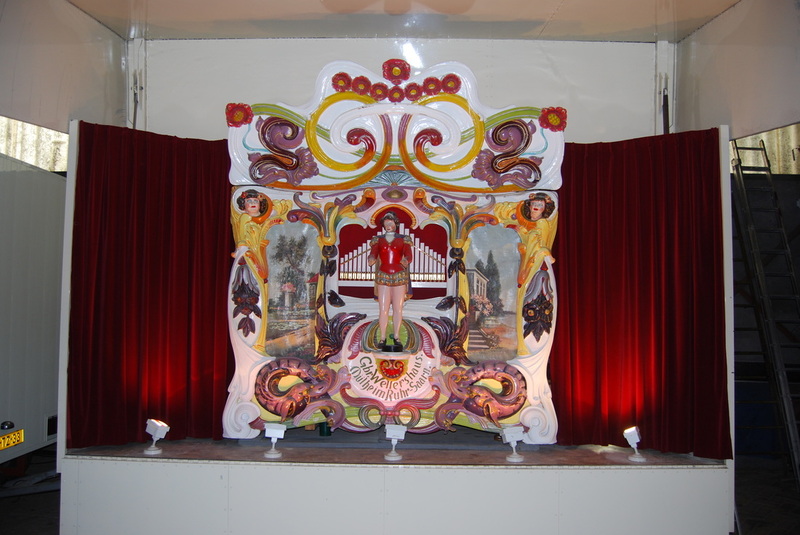 This event, which has become increasingly popular in recent years is dedicated to fairground organs of German origin. 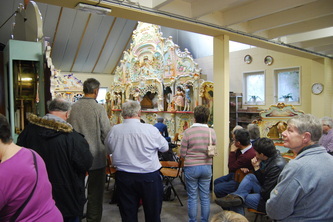 We continued a short distance to the very recently established premises of Gerrit Verhagen at Kaatsheuvel. 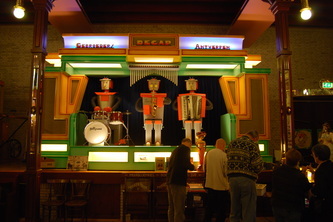 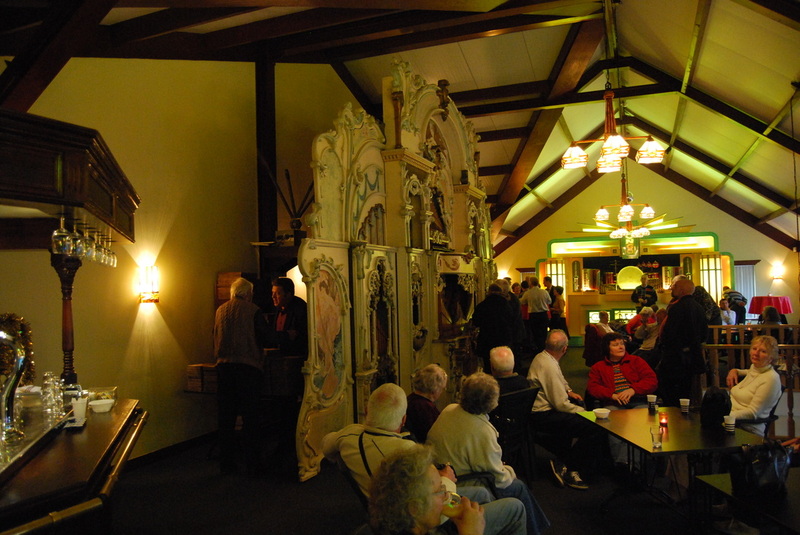 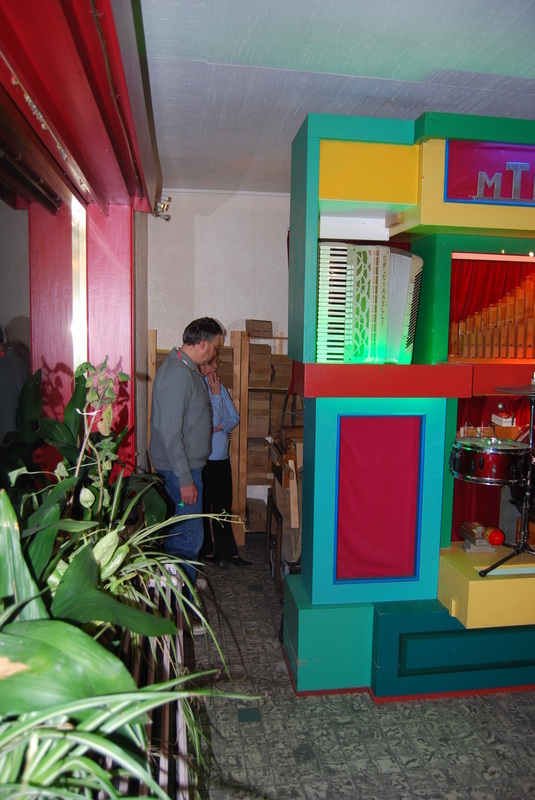 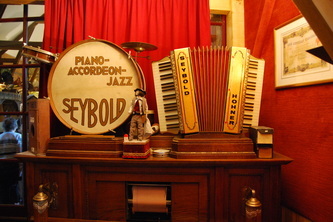 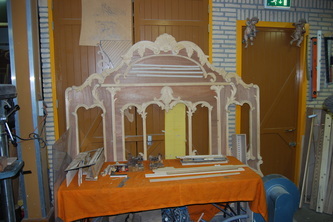 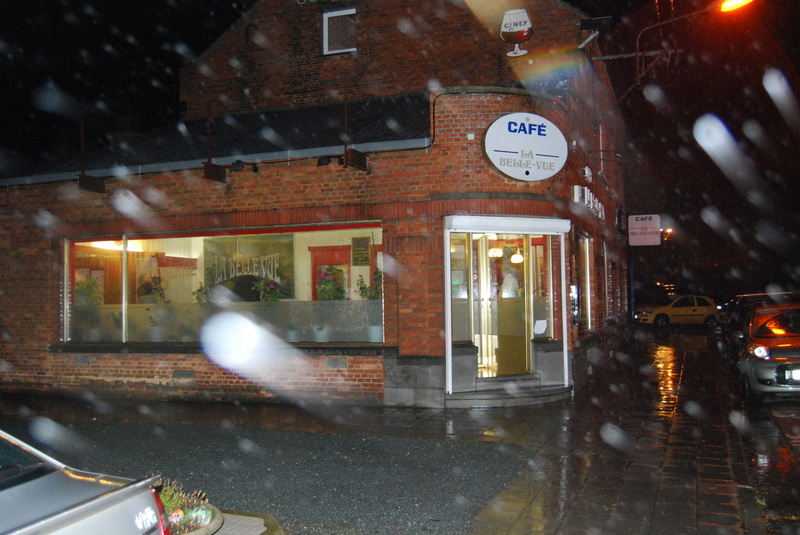 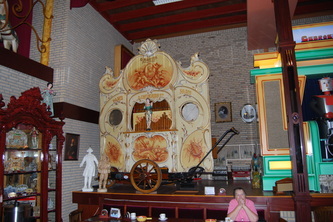 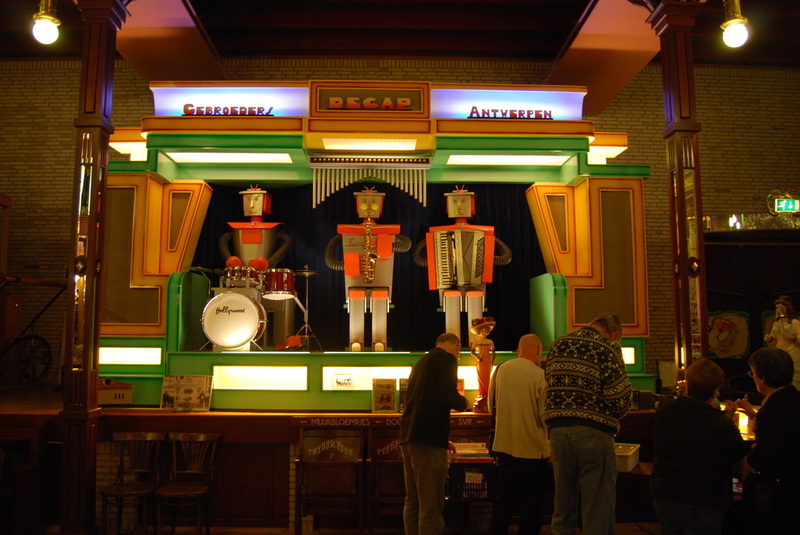 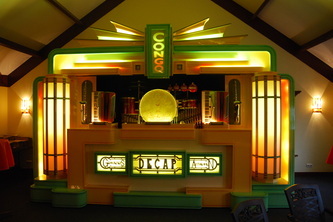 Here Gerrit has created a café like setting in which to display his two Gebr Decap dance organs, “De Vlinder” and “De Congo”. We then enjoyed an evening party at the collection of Cris van Laarhoven at the Dansant in Hilvarenbeek. In this palatial dance hall setting we took take dinner to the accompaniment of music from the great variety of organs that are present, including instruments by Marenghi, Decap and Mortier. 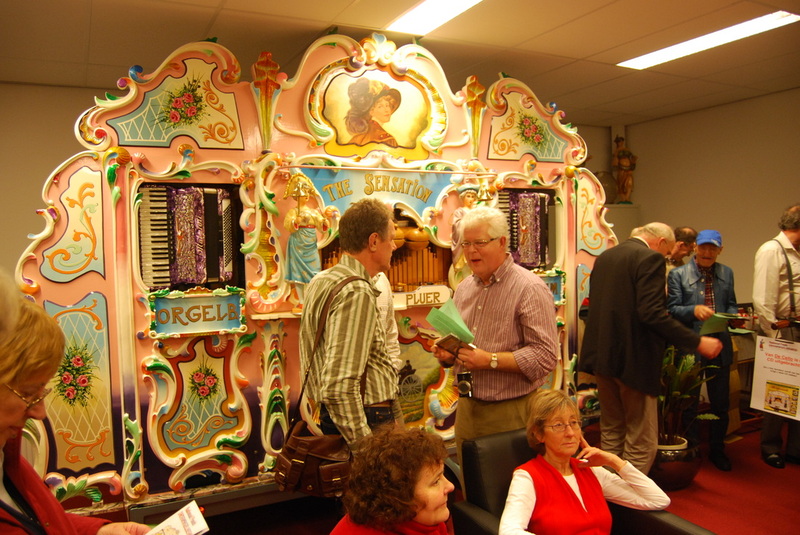 The Dansant is also home to organ manufacturers 'Netherlands Boekorgel Centrum' and we got the chance to nose around the basement workshops. 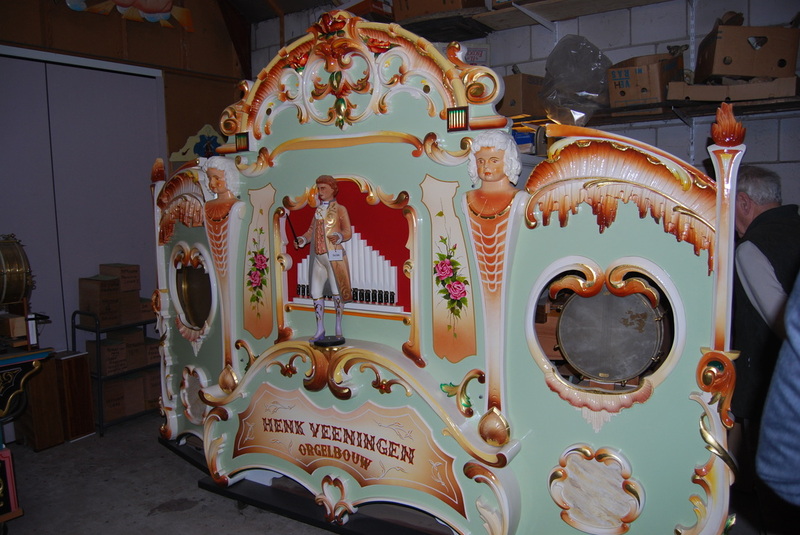 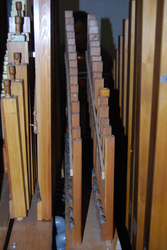 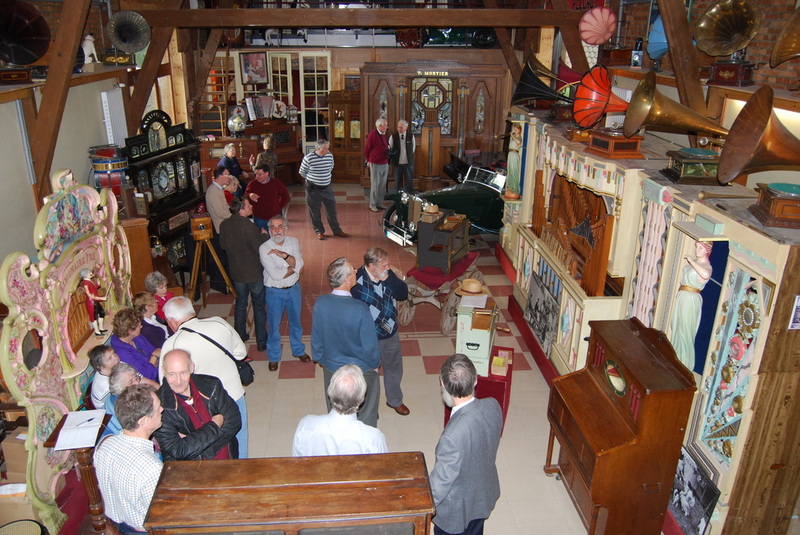 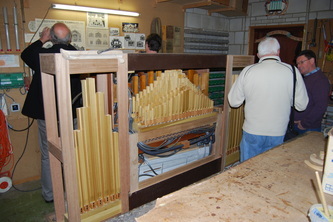 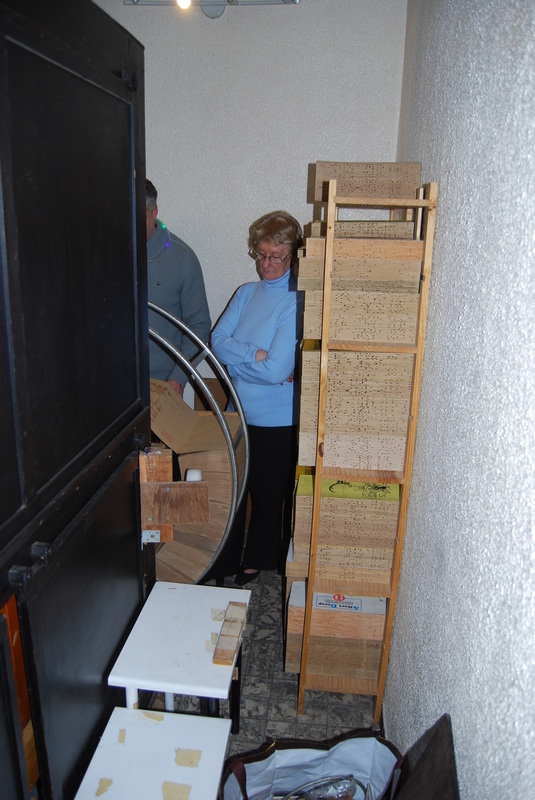 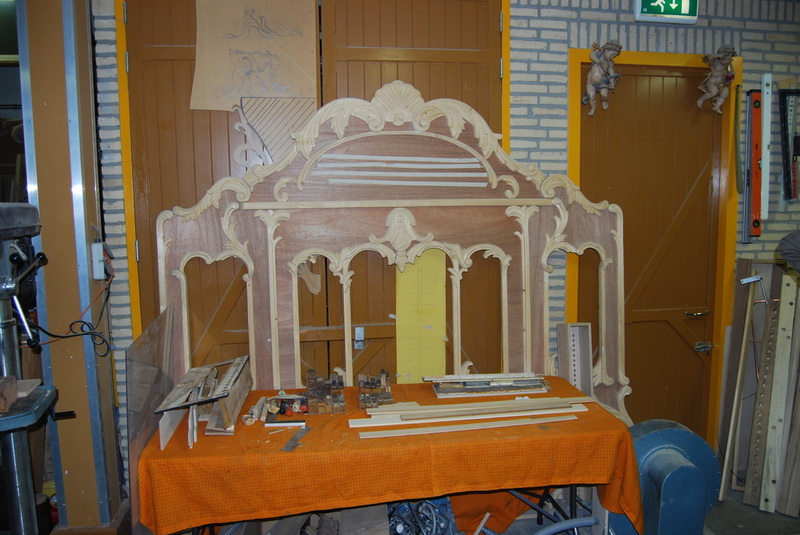 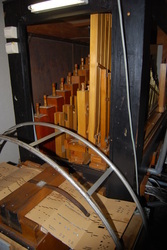 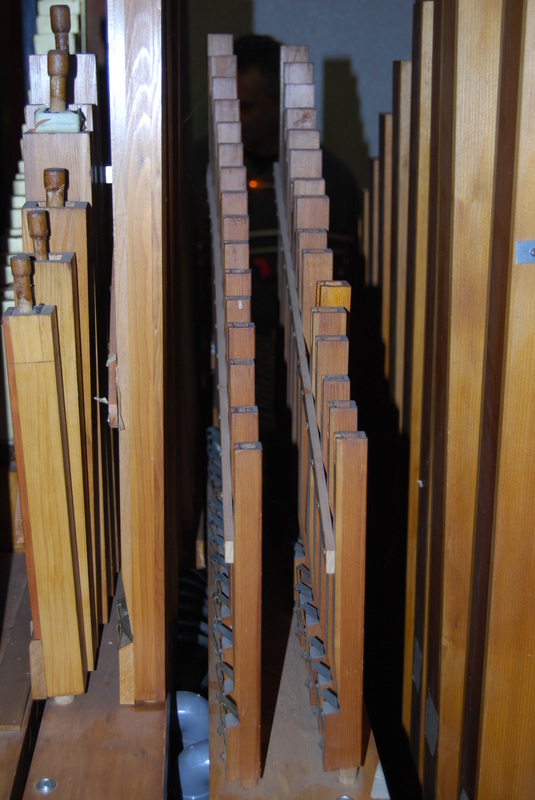 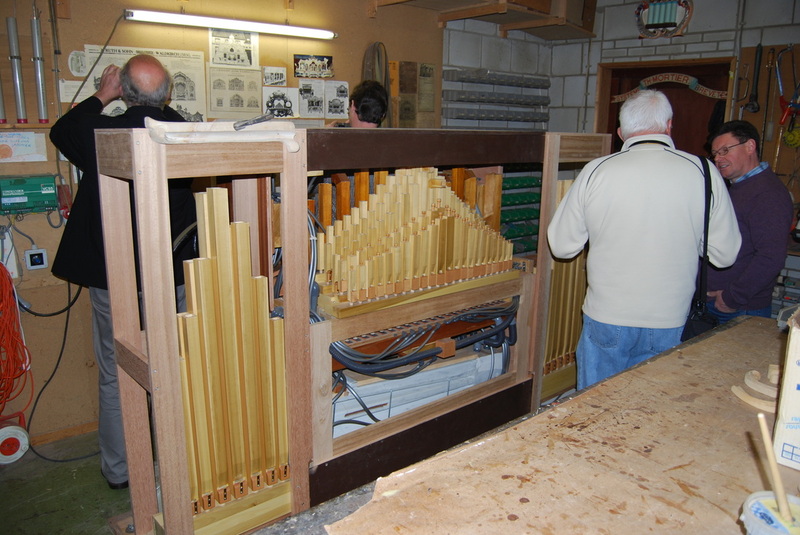 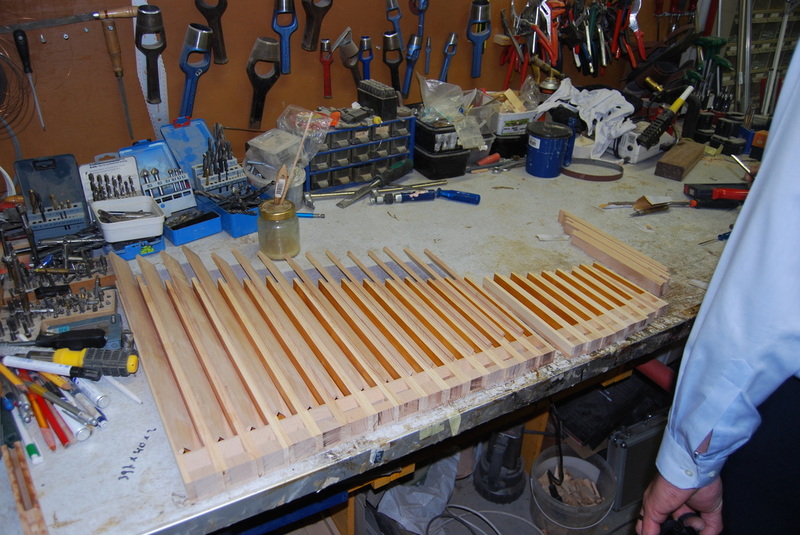 We headed north to visit the organ collection and workshop of Henk and Thea Veeningen at De Wijk. 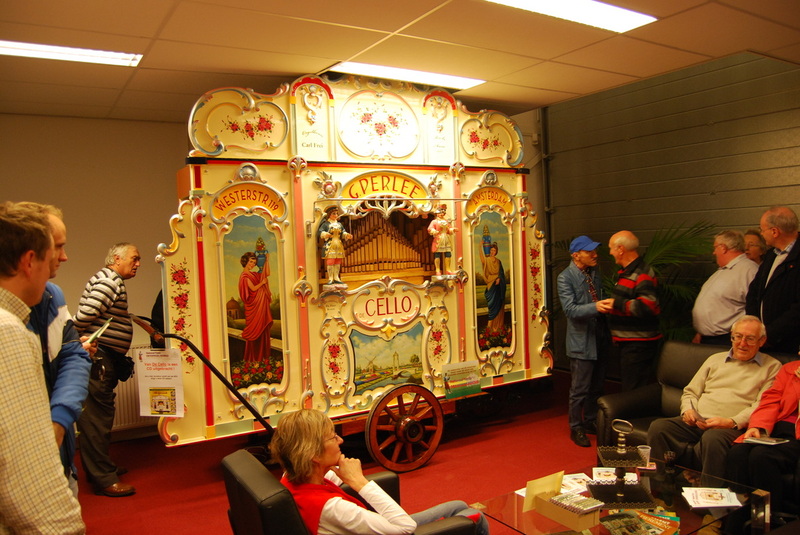 Henk, from small beginnings, began working on organs and went on to establish a business that now builds and restores organs that are distributed worldwide. We heard instruments by Gavioli, Gasparini, Limonaire and others, all the organs having their own rather special tales to be told of how they were discovered, purchased and restored by Henk. 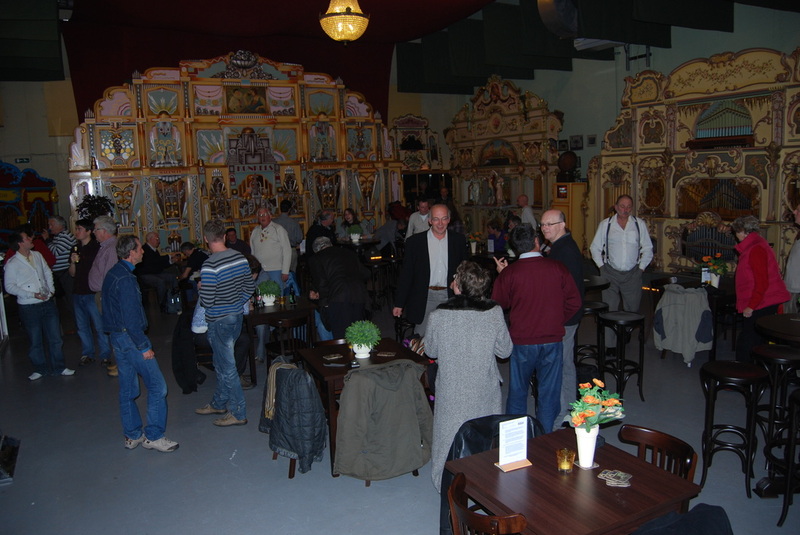 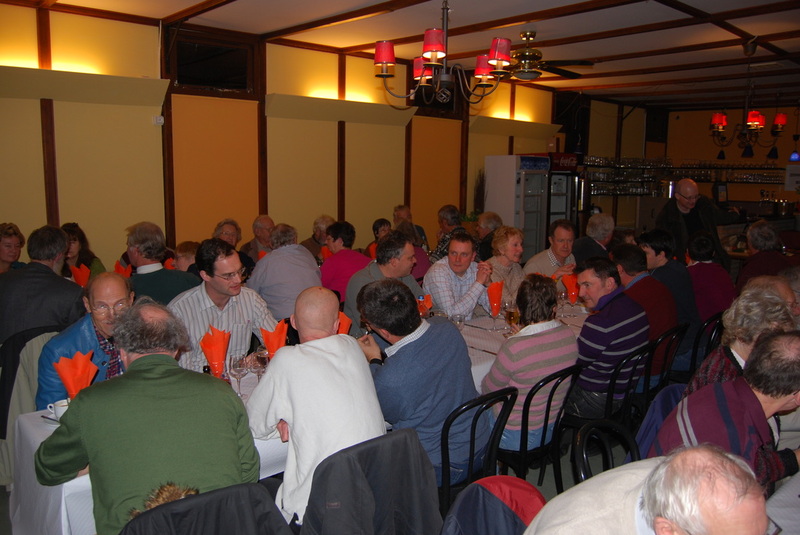 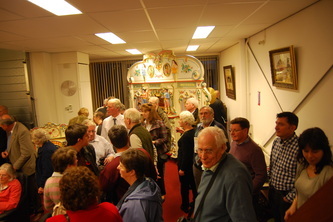 We enjoyed another evening event with much dancing and laughter at the Kunkelsstichting in Haarlem. 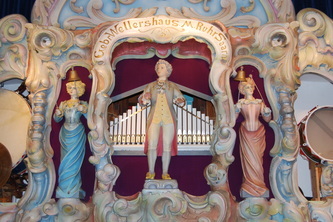 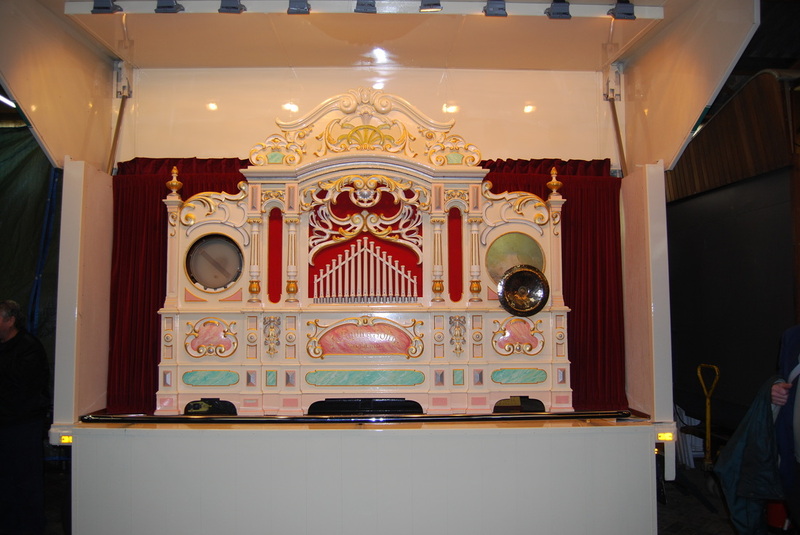 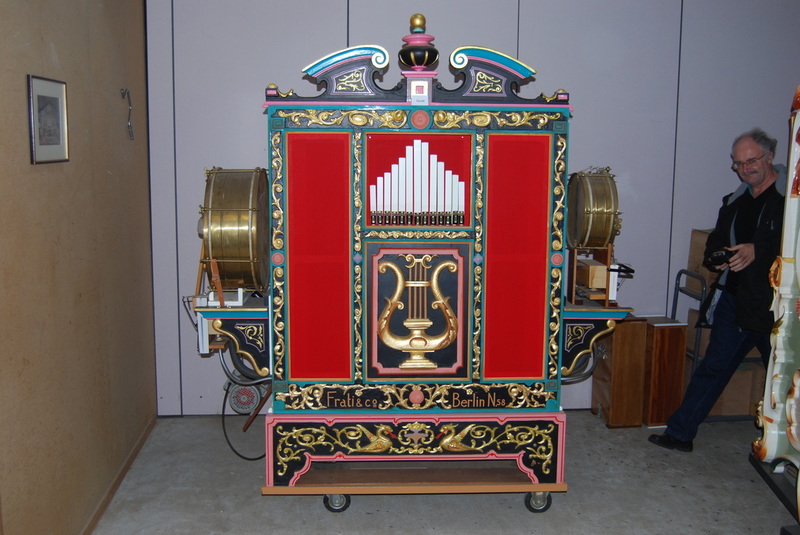 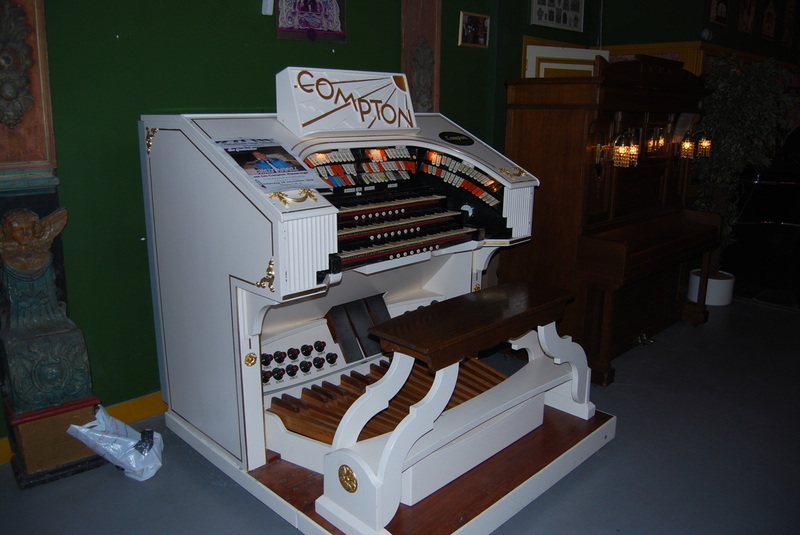 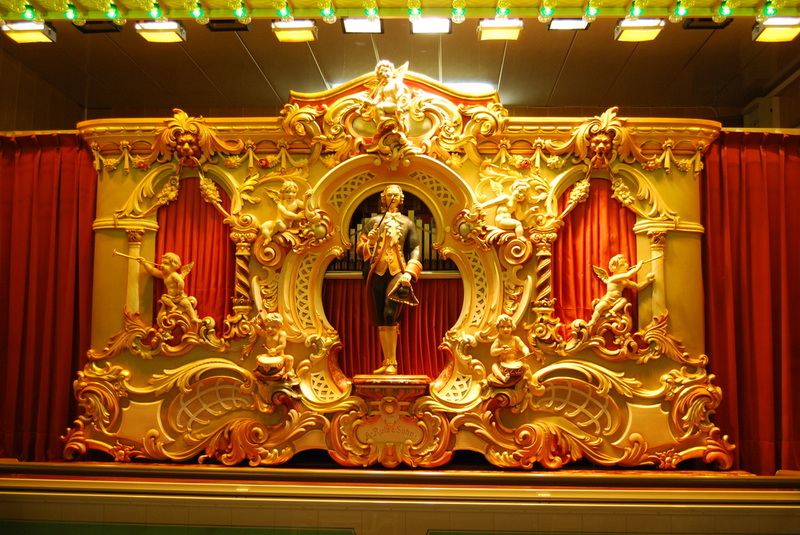 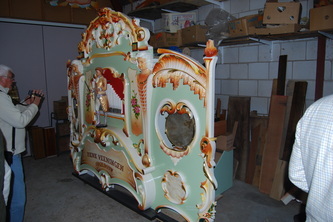 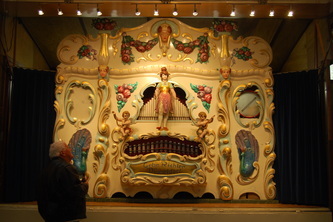 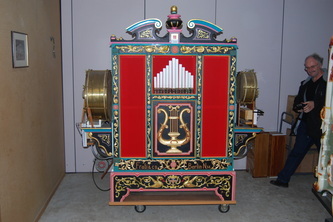 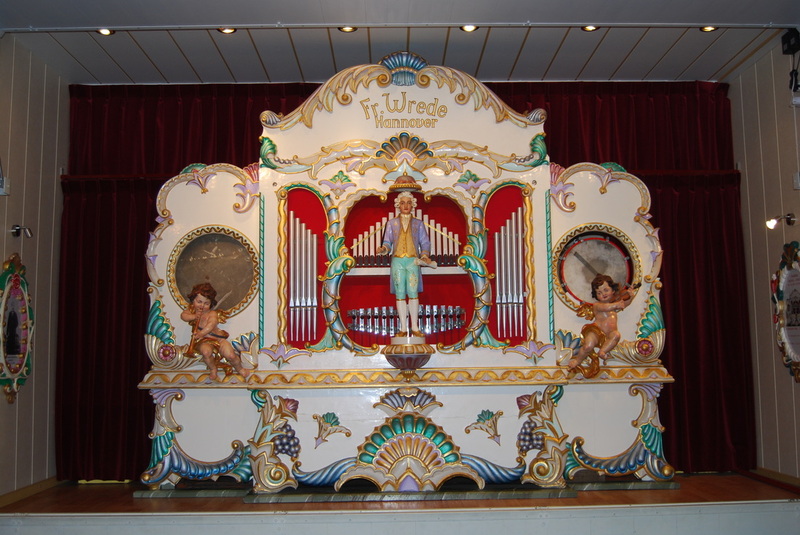 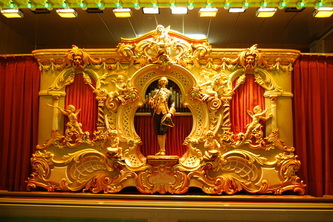 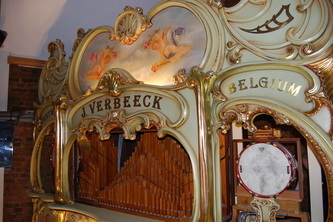 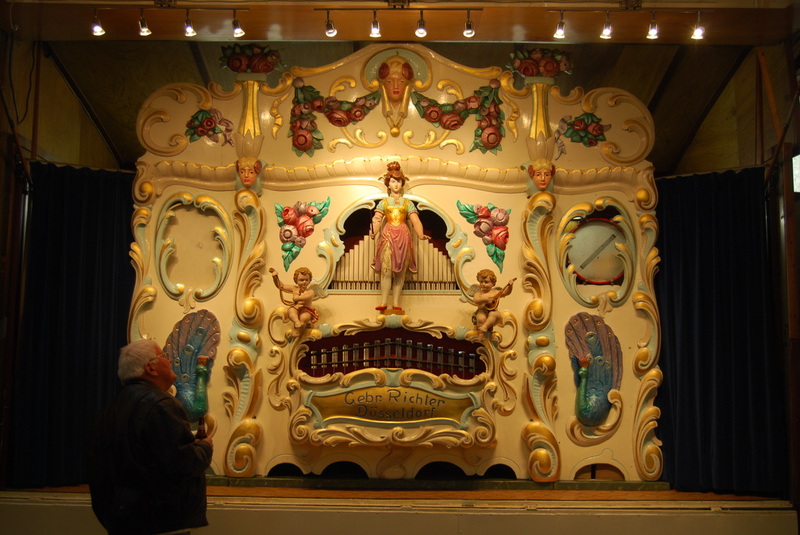 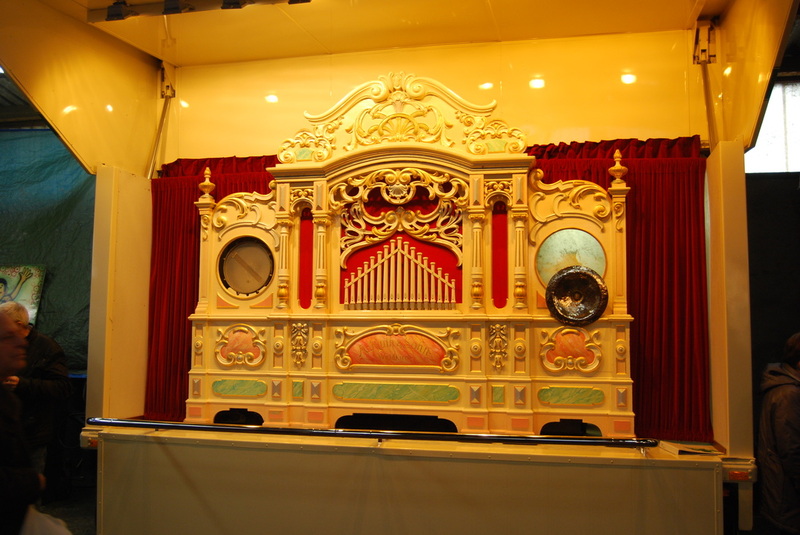 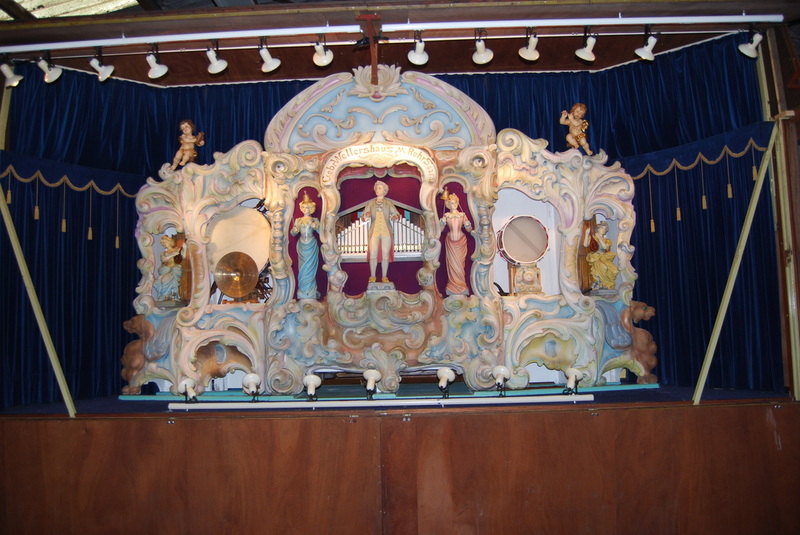 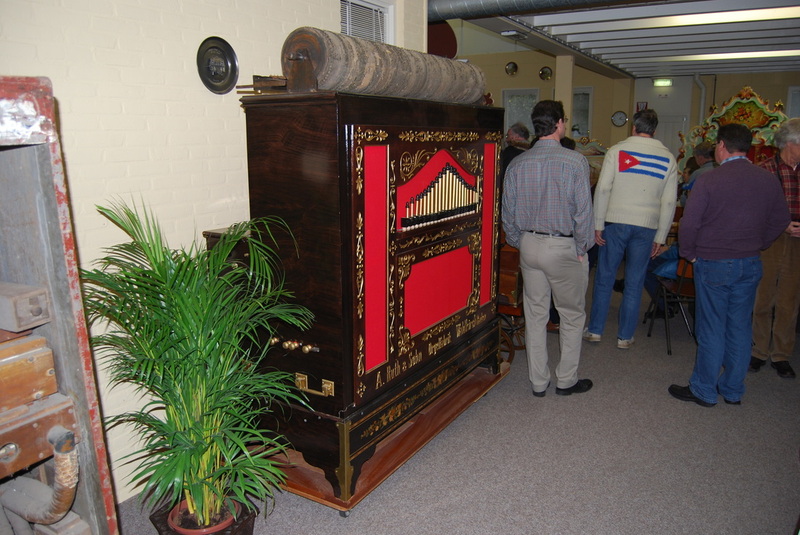 Taking its name from the imposing Kukelsorgel Marenghi that stands at one end of the hall, this is an outstanding collection of street and dance organs, including the street organs “De Jupiter” and “De Grote Blauwe”. 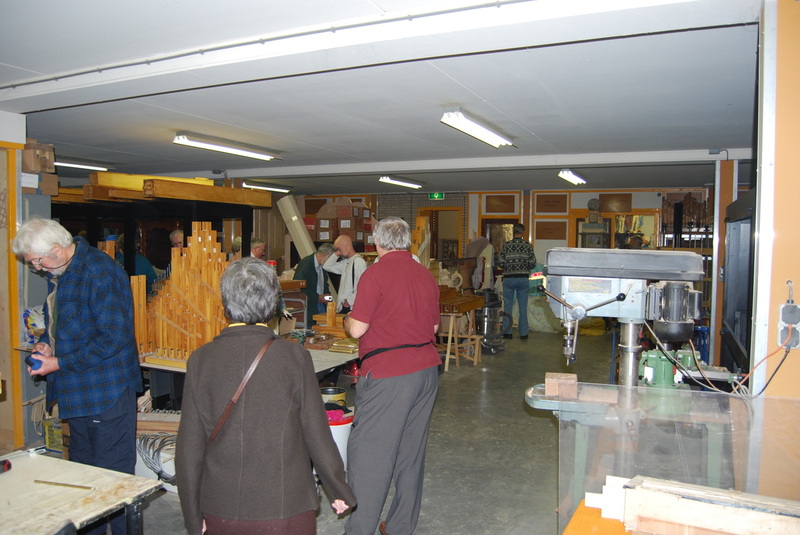 We returned south for our first ever visit to the newly established collection of Hans Hegi. 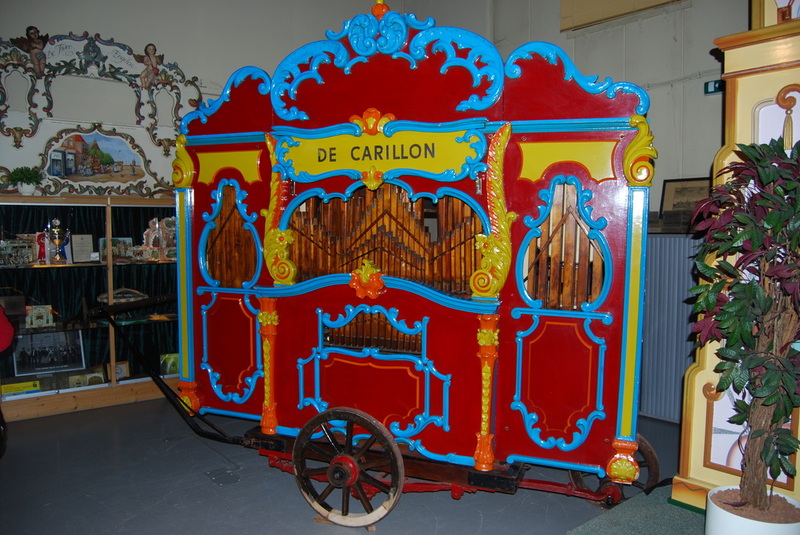 “De Cello” is an organ that spent recent decades in exile in Canada, but made its debut again in Holland again, with much ceremony, earlier this year after a thorough restoration by Elbert Pluer. 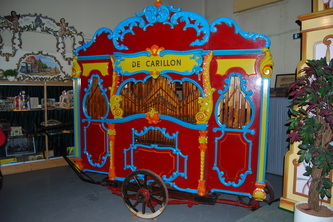 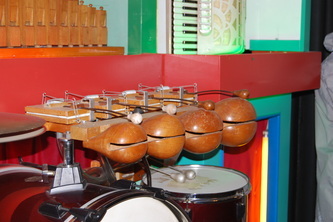 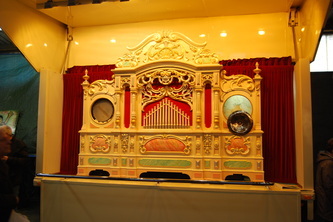 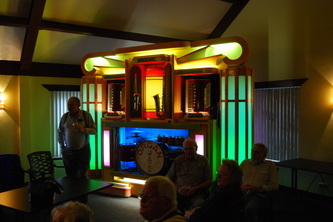 We also heard “De Sensation” an extremely versatile, but compact, modern street organ which is also the work of Elbert. 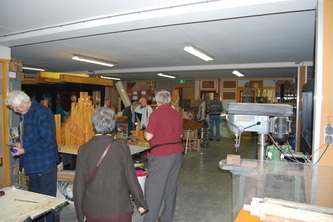 Here we are in video arriving at Hoofddorp enjoying the collection of Hans Hegi. 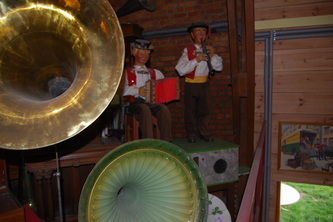 “De Cello” and “De Sensation” were both a pleasure to listen to! 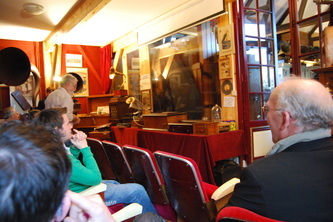 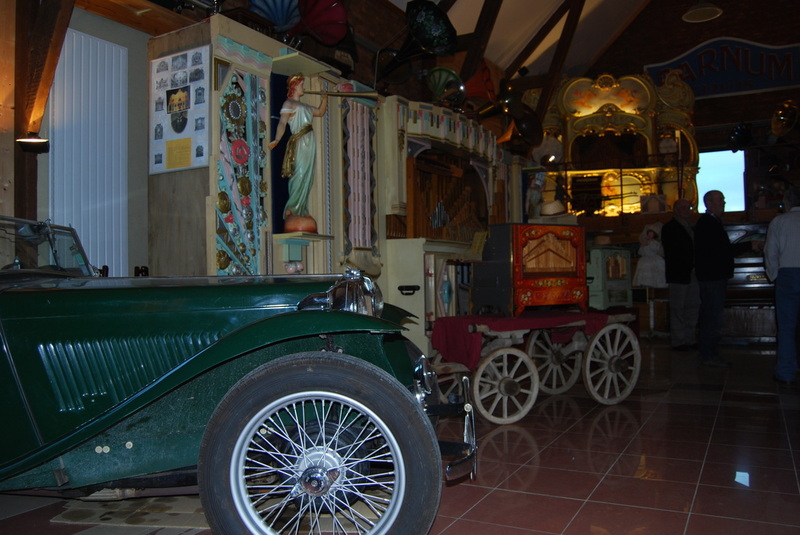 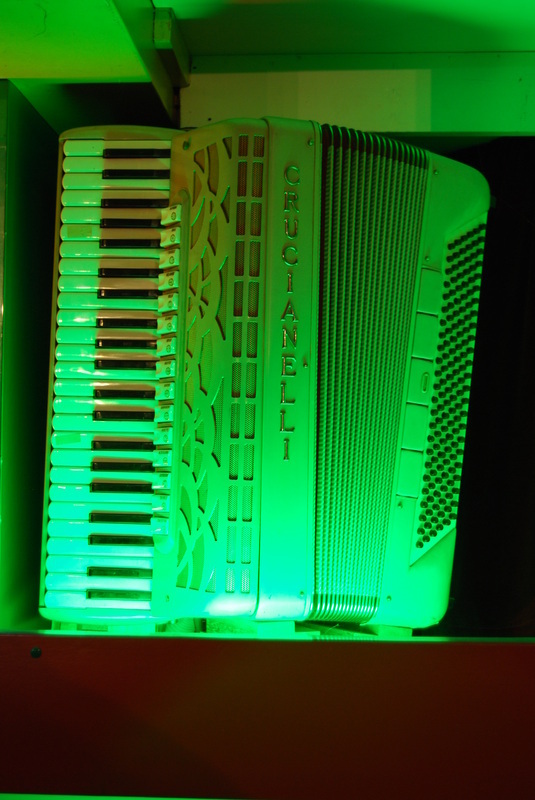 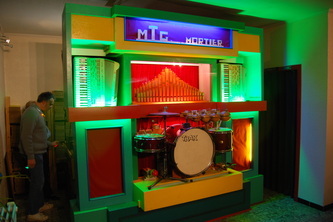 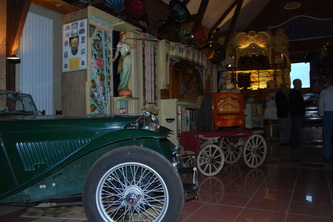 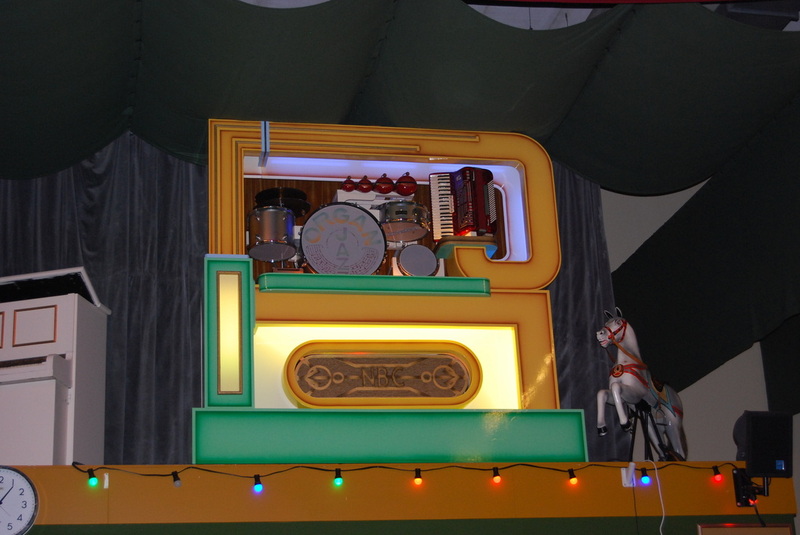 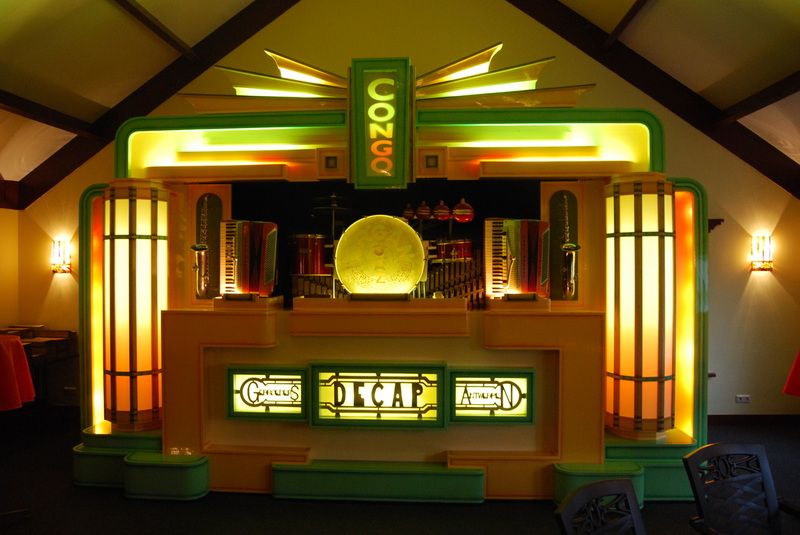 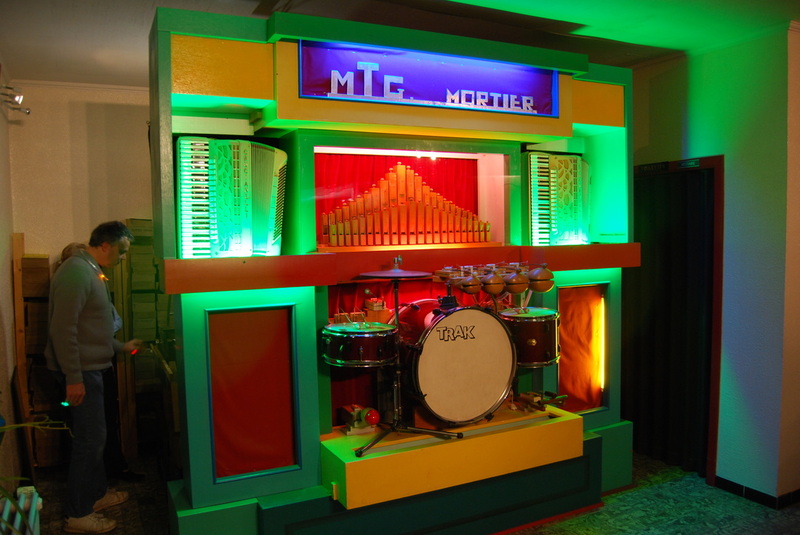 A journey back over the border through Belgium and into France provided us with the opportunity to visit the collection of Patrick Denoulez at the Musee De La Musique Mecanique d’Haubourdin near Lille. 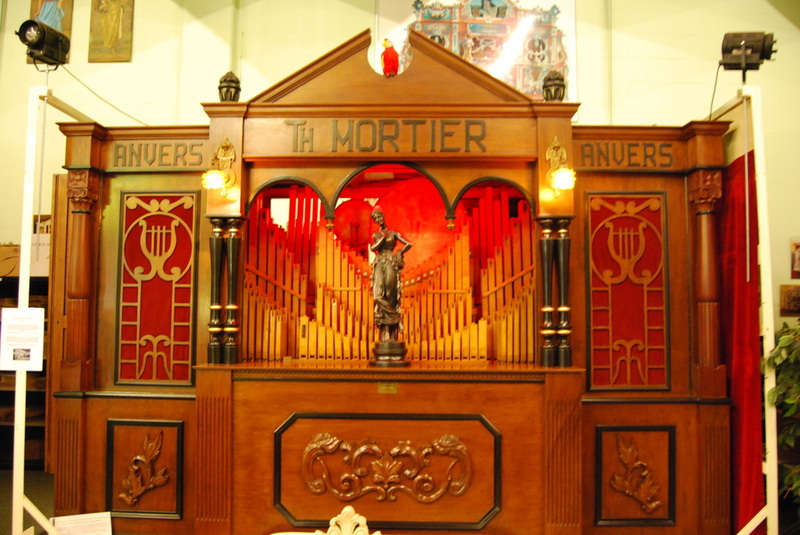 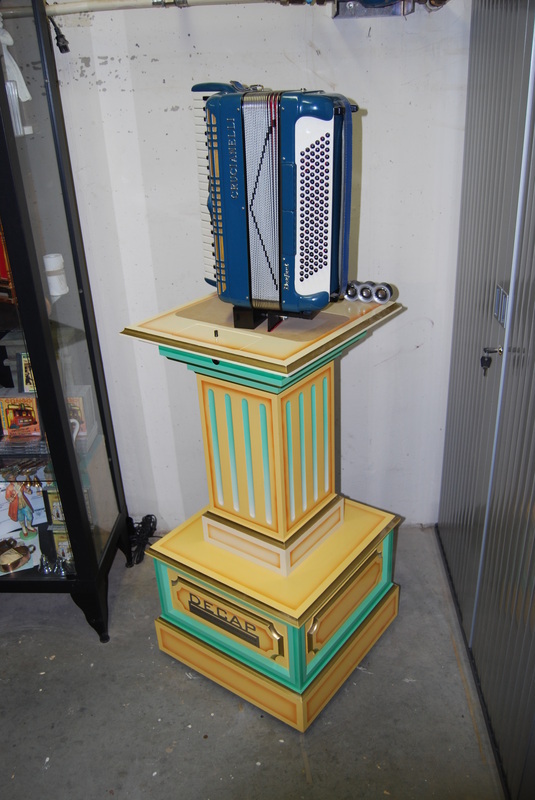 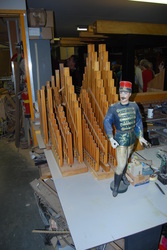 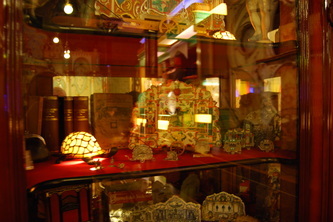 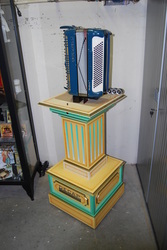 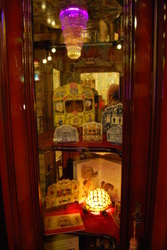 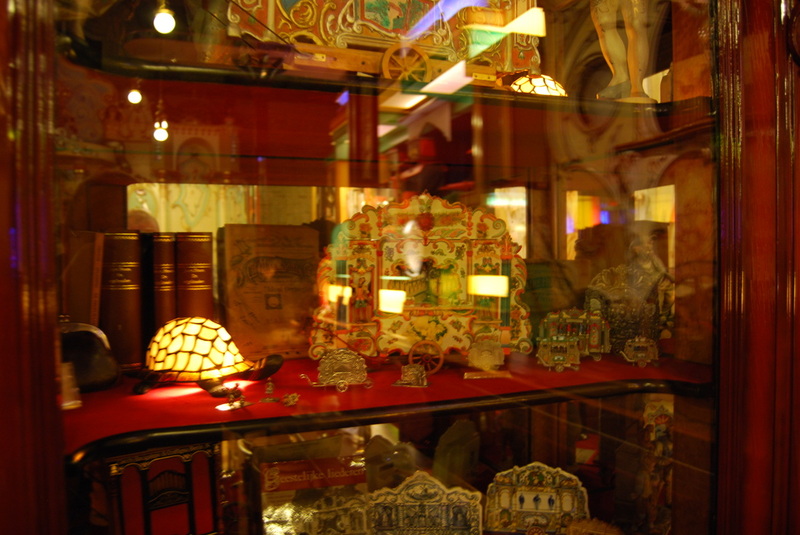 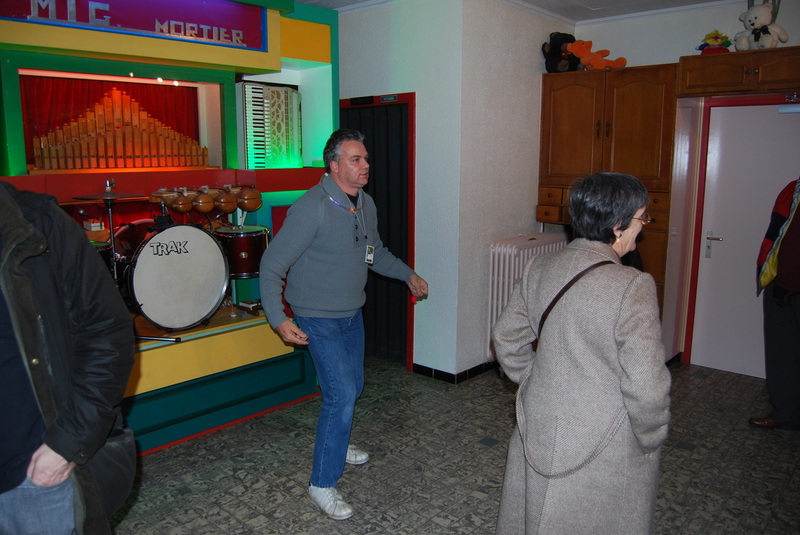 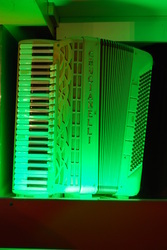 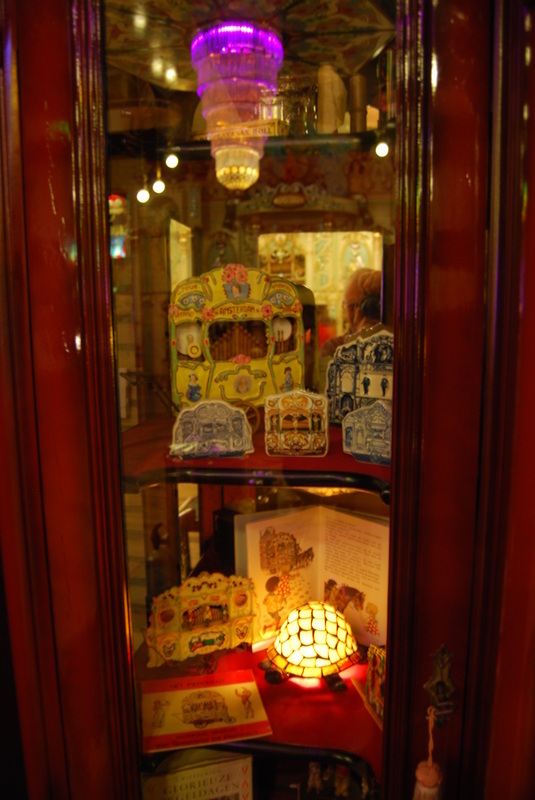 This year Patrick has enlarged his collection with the addition of the famous Mortier dance organ “De Diamant”. After being hidden away in store for many years, this organ now takes pride of place in complementing the other fascinating range of instruments that are on display in this very unique collection.